Even though I have not been around them much, praying mantises have always creeped me out. However, I have been around a lot of walking sticks, which are similar, and they have creeped me out just as much. 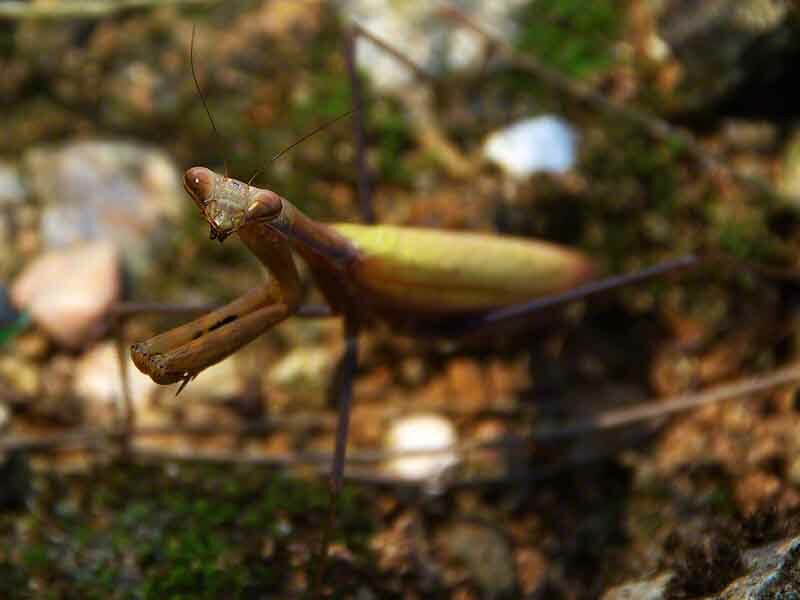 I love how you focused on the mantis and blurred the background. It gives it a whole new dimension. Fabulous shot and creativity. This guy is staring you down Mike haha great shot. I read the telegraph article and was shocked to learn they also eat lizards, snakes and rodents unbelievable. FishHawk;Aw, you shouldn't be creeped out by these critters. They really help a lot keeping other nasty bugs under control. Thanks. I almost got real creative and jumped in the streaam alongside this guy but, decided RyukyuRusty might not appreciate me getting back in his car all wet! Yeah, I found that Telegraph link after I had posted. Surprised me, too. So, I added the article as an edit. Awesome bug !